Most of the time, when I hear people talk about climate change, I feel some combination of fear, helplessness, and resignation. Listening to Paul Hawken, I felt activated and turned on. As he says, it's not about "game over" for the human race, but "game on" . . . and how this is a time when we are called to step forward into our greatest human capacities and possibilities. Paul Hawken transmits the beauty, flow, and regenerative power of the natural world in a way that is contagious. When the interview was over, I felt like everything around me was in a shimmering fluid state, in unstoppable regenerative flow. Tami Simon: This program is brought to you by SoundsTrue.com. At SoundsTrue.com, you can find hundreds of downloadable audio learning programs, plus books, music, videos, and online courses and events. At SoundsTrue.com, we think of ourselves as a trusted partner on the spiritual journey, offering diverse, in-depth, and life-changing wisdom. SoundsTrue.com, many voices, one journey. You are listening to Insights at the Edge. Today, my guest is Paul Hawken. Paul Hawken is an environmentalist, entrepreneur, journalist, and author. Starting at age 20, he dedicated his life to sustainability and changing the relationship between business and the environment. His practice has included starting and running ecological businesses, writing and teaching about the impact of commerce on living systems, and consulting with governments and corporations on economic development, industrial ecology, and environmental policy. He has also written the New York Times bestselling book, Drawdown: The Most Comprehensive Plan Ever Proposed to Reverse Global Warming. And in this conversation on Insights at the Edge, we'll be talking about Project Drawdown and how to reverse global warming. I also want to let our listeners know that we're broadcasting this conversation with Paul Hawken in honor of the new 10-day online event series called Waking Up in the World that Sounds True is hosting beginning on September 24th. This series hosts 30 presenters who are looking at the intersection of the spiritual journey with social change in the world. 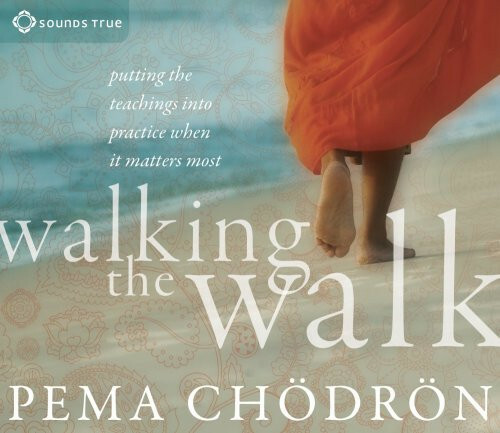 The series includes such speakers as Parker Palmer, David Suzuki, Glennon Doyle, Eve Ensler, Joanna Macy, Tara Brach, Valarie Kaur, Matthew Fox, Jack Kornfield. It's really an incredible list of presenters. Van Jones, Clarissa Pinkola Estés. Again, it begins on September 24th. There are three broadcasts a day: 10:00 AM, 2:00 PM, and 6:00 PM Mountain Time, and you're all invited to join us for Waking Up in the World. You can go to SoundsTrue.com for more information. Again, beginning on September 24th. In this episode of Insights at the Edge, Paul and I spoke about how climate change isn't happening to us, but instead is happening for us, and how it's actually a privilege to be alive at this time in human history while there is an alarm system going off that is begging us to transform. We also talked about how there is an underlying system that needs transformation. And Paul talked about how we can't just focus on one issue when it comes to reversing global warming, such as the burning of fossil fuels, but instead we need to look at transforming the system that honors life, creates jobs, and addresses human needs. Finally, Paul and I talked about the power of regeneration; how he believes it's "not game over but game on," and how life regenerates life. Here is my incredibly inspiring conversation with someone I deeply respect, Paul Hawken. Sounds True is producing a new online event series called Waking Up in the World, and one of the topics we're looking at is the intersection between the personal spiritual journey and social change—changes that are being asked for in our world at large. And I wanted to begin, Paul, by understanding how you understand that intersection in a very personal way for you. How does it connect for you, whatever you would describe as your spiritual journey as a person, and being an activist in the way that you are in the world? How do you understand that intersection, if you have an appreciation of it in some sense? Paul Hawken:	As a child... It's so interesting, when I was on the book tour this last year for Drawdown, somebody asked me a question that I hadn't heard before. And forgive me, but I forget the question. But I do remember the answer, and the answer was that when I was a child, it wasn't really safe in my house as a child. It didn't feel safe at all, so I went outside and spent as much time as possible outside where I felt safe, and continue to this day to feel that way. And even in California growing up, which is where I grew up, with fires and floods and things like that, I always felt safe. But being outside, what I noticed was that I didn't know anything. That is to say I didn't know how it was working, what the names were, what was crawling underneath this rock, what the sounds were that I was hearing in the forest, and I developed this intense curiosity about the living world. And that, to me, is what led to a sense of awe, certainly appreciation, wonder, astonishment, and I think it also led to a sense of the inextricability of life. That is to say, it's inseparable from itself and all other things. And I don't just mean the things that walk and crawl and fly and swim. I mean the atmosphere, the climate, water, rivers, every single aspect of life is intimately interconnected with itself and us. And so that connection between the living world and the humanness of each of us—we're human beings—but inseparable from that, led to ways of appreciating it that were not just purely scientific, not mechanistic, not Cartesian, not just analytic, but actually holistic. And to me, that pathway leads right to reverence, and reverence leads to spiritual traditions that are non-dual in essence, that are not about dual thinking. So that was kind of the pathway from my childhood to... I don't want to say a spiritual understanding. I don't even know what spiritual means, really. But an understanding that could take the intermediate world, as it's called in Buddhism—or the invisible world, or that which we cannot see and measure and analyze—and the physical material world, and brought them together in a way that is real to me to this day. TS: When you talk about that awe and reverence, I think that's something that a lot of our listeners feel for the natural world. And a response that I think a lot of our listeners are having right now is one of feeling devastated, distraught, sad, broken-hearted, some version of that when they observe what's happening to the natural environment right now. And I wonder if you can speak directly to them and how you work with that emotion yourself, if you do. PH: For sure, no one likes to see suffering on a human level, but when you see it on a vast level, which is what we see today—ecosystems, forests, lands, oceans, biodiversity, species, and human beings because we're animals, too—it's almost too much to take. And the rate of loss is extraordinary, sometimes known as a sixth extinction. The grief of that is actually important. I think it's really important to feel the grief because otherwise, and I'm not saying this is true for your listeners, but I think people will just get numb because they can't handle the constancy of the news or the information or the reports, or even the first person experiences of it, seeing it. And I think if one doesn't go through a passage of grief, then it is a disabling experience, very disabling. I think whatever form that may take, I think it can be a very empowering one once it is experienced, and the sense of loss, whether it's tears or anger. It can be anger, it can be both, it can be horror, it can be sorrow. It takes all those forms. All those emotions come up. But I think... It's kind of like, for me, is then you know why you're here. Why are you here? Obviously, it's not to be the destroyer, but to be the one who addresses suffering on all levels. That's the Bodhisattva vow, but sometimes it's often seen as just about human suffering. But to me, we chose to be here, meeting here, now, here we are. Why? Why are we here now? It's perversely a privilege to be here at this moment, at this time, with that knowledge and that happening. Because it makes it very clear as to what our job is, what our roles are, where our heart belongs. There's a great paradox in it all. TS: Now you say it's perversely a privilege. I can imagine, "God, it feels like a burden." Tell me how it's a privilege. PH: It's a burden if you separate it from yourself, if you think it's other, if you go around and basically dis-integrate yourself from the world and wish it was other than it is. And the privilege of being alive is to be present, that's the privilege of being alive. The privilege of being alive is not thinking about the past or projecting it onto the future. And that's a privilege of getting lost, which is not the privilege, but that's getting lost and so forth. So being that acutely aware of what's happening is a refining transformational experience. So then what do you do? What do you say? Who are you? How do you act? How do you look at others? How do you see? And is it blame and demonization, which is another way of creating otherness, or is it compassion? Is it understanding? It just opens up all the transformational pathways that are available to us and then some, as to our presence and what it means to be a human being. So if it's just despair and burden, the hopelessness, depression, blame... Really, you're here. You're not here for a long time. Is that how you want to live your life? That's your choice, that's available to you, that's possible. But there is another possibility, which is to take it all in, as a transformational experience. There was a wonderful story, I forget the name of the tribe of Northwest Native Americans, and it's in the sixth volume of Alfred Kroeber, the great anthropologist. He talks about in this particular tribe, the women were the shamans, and a woman became a shaman if she had a true dream. And then if she thought she had a true dream, she'd go to the elders and tell these women the dream she had, and they would decide whether this woman had a true dream or just a dream. And if she did, then she was initiated. And she was initiated by going to a sweat hut for 10 days, and on water only, and then 10 days of eating acorn gruel, and then 10 days of dancing inside the sweat hut with water only. And then 10 days of acorns. It sounds extraordinary. And until such time as she can disgorge her illness or dis-ease, her shadow, she can literally disgorge it and hold it, and show it, and see it. And then she was asked to re-engorge it, put it back in. Because once she had seen it inside herself and it was back inside, she could see it everywhere and in all things. And she became a shaman, the healer, because she integrated that within herself. And so when we see that outside, what are we seeing? When we understand that it's us and not them, then we become very powerful in our capacity to be that person who offers salve and succor, and help and assistance, and aid and generosity and healing to the world. But until that happens, then, as I said, the world is other, and we live in a world right now where otherness dominates. We have a president who makes everything other. We have the MeToo movement was about women saying, 'no mas', no longer. We are not other. You see Islamophobia. You see the use of immigration as a political device to divide people and to create fear. All this is about creating this idea that something's other. But we, as a movement, cannot do the same. Otherwise, it's the same mentality that's caused the problem that's trying cure it. And when we talk about fighting climate change, combating the war on carbon, all these terms are basically male sports and war metaphors that describe seeing the world as separate from ourselves, and that is not the mind that heals. The mind that heals is the mind that sees itself in everything. TS: Beautiful, Paul. Now I met you, I just want to come forward with this, 25 years ago at a social venture network conference. I don't even know if you'll remember that. But I've been following you for all these years. Not like stalking you, Paul. Don't worry. But I've just been following your activities in the world, and what's really impressed me is how you've had some type of ability to both tune into the zeitgeist and get underneath what's happening, and understand the roots of things, whether it's our economic system or now global warming, and what can be done and needs to be done in response. And I want to get into Project Drawdown and your work with that, but before we do, I just want to understand a little bit about how you tick, if you will. How it works for you, that you drop underneath big issues to see a type of holistic solution. I wrote a book called The Next Economy. It was like, OK, what's going on in the economy? And Blessed Unrest is about civil society. Drawdown is about climate. But to me, it takes me a long time to actually figure out what's going on here, how is it being perceived, and is the perception or the communication of it actually helpful to the situation at hand? And that's always up for me. And reading and thinking, and reading and thinking, and reading and thinking. I'm really more like a monk in that sense, and that at some point, tentatively, I go, "I think this is what's happening," or, " I think this is a better way to look at it for me." In other words, the way that is more integrated and is a helpful way, in a sense of I know how to act, or it's a pointing out instruction that's innate in the situation. There was a friend of mine ... This is digressive, but we were talking about a book fairly well-known, and he's a writer and I'm a writer, and he said, "Did you read this book?" And he's texting and I said, "Yes." I said, "Mike, did you really..." He said, "Yes, yes Paul. I read that book." He said, "There's a stop sign a the end of every sentence." And the point being is that those stop signs are the words, or the borrowed language, or the little fill-ups or cutesies, or things that make the writer, without the writer maybe noticing it, but it's the ego. In other words, the ego is saying, "Look, I know this, that, and so forth." And when I write, I think what I'm trying to do is do exactly what you said, get under the skin, get inside. See it in such a way and write in a way that is not trying to tell somebody what is true or what they should know, but to give them the information with which they can then create their own picture of the world, as opposed to this picture is right, or this is what I know, or this is true. So it's not didactic. I kind of pull back and am repelled by didacticism in writing or speech. So that's my style. TS: Let's introduce our listeners, if they're not familiar, to Project Drawdown, what it is and what you're trying to accomplish. PH: Project Drawdown is a non-profit in Sausalito, California that maps, measures, and models the most substantive solutions to reversing global warming. And the reason we do it is because it had never been done before. The IPCC, the Intergovernmental Panel on Climate Change, is celebrating its 30th anniversary this year. And in those 30 years, it had never done that, nor had any other institution, whether it be academic, or non-profit, or for profit. And I had spent 13 years up until the formation of Project Drawdown going around asking other institutions to do it. In essence, I wanted to know where do we stand? I was reading the assessments, the IPCC assessments—the first, second, third, the fourth, and now fifth—and it's like "Houston, we have a problem." It's the most gnarly problem civilization has ever faced and may ever, but from my point of view, I wanted to know... OK, got it, what can we do? And as much as people were proffering different solutions, it was very limited to me in terms of the scope both in breadth and timing. I didn't see a way through from what anybody was saying, and so it was really in 19-, actually just go to 2013, and Bill McKibben wrote a piece in Rolling Stone called "Global Warming's Terrifying New Math." It was based on Mark Campanelli's work in London, who was a financial analyst and went to the non-profit side. And he analyzed the balance sheets of every coal, gas, and oil company that he could get his hands on. Some of them were private, sovereign companies and he couldn't. But he was looking at their assets, and their assets are the reserves, which is how much coal in the ground, how much oil in the ground, how much proven reserves of gas in the ground. And he came up with the term "unburnable carbon," saying if we burned all of these so-called assets, we would be Venus essentially, so therefore they're not assets. How can you call this an asset if it's unburnable? So what Bill did in his piece in Rolling Stone is turn Mark's data into poetry, as Mark said, and burned it. It's a special type of poetry because it just scared the pee out of people, and I had friends coming to me after the article was published saying, literally, it was game over. And these are people who are activists, people who have been very effective on the issue of climate and the environment, and saying, "I'm giving up." And it occurred to me then that, wow, is that true? Let's give them their space on that one. Is that true? I didn't think it was, or is, and so I decided to start Project Drawdown and do what I had been asking others to do for 13 years, which is to map, measure, and model the 100 most substantive solutions to reversing global warming. But I also wanted to name a goal. In other words, can we just name the goal? Because what I noticed during all that time was that people were using, as I mentioned previously, war and sports metaphors to talk about the problem; we should fight it, combat it, it's a climate crusade—an unfortunate term if ever there was one. And we should have a war on carbon, a carbon war room, carbon being the basis of all life, of course. And everybody's talking about mitigation. We should mitigate. What does mitigation even mean? It means reducing the pain of something, or the seriousness of something. I just thought these were either inappropriate or wimpy words, like mitigate. And I also felt that these were goals that were vacuous, frankly. For example, the Paris Agreement, 2C in 2050, mitigating climate change, these were the goals that were being bandied about, and I felt like, who wakes up in the morning and says, "Oh, my gosh, 2C 2050. I'm on it. What a great day." Nobody. It's 32 years from now. And the same thing with mitigation. Nobody wakes up and says, "I'm going to have a great day mitigating." It seems to me the communication was inappropriate, and furthermore, the goals that were being named and so forth were guaranteed to basically disengage people, which is like, "Go for it. But I have a job to do, I have a family to raise, I have a farm to cultivate." It just didn't connect with people, so I wanted to name the goal, which is Drawdown, which means to reverse global warming. Which means that first time on a year-to-year basis where greenhouse gases go down, name it, and then to basically work with 200-plus people around the world—scientists and researchers, post-doc students, politicians, writers, activists, religious leaders, et cetera—but to actually see if it was achievable within 30 years. In other words, can we actually reach that point given what we know, what we know how to do—in other words, what's already in place—and solutions that are already scaling? In other words, not silver bullets, not things that could be, should be, ought to be. But given what we know, what we are doing, is it possible? And that's what Drawdown essentially is, and that's how it came about. TS: You mentioned that when you read the article by Bill McKibben and it was game over, I heard this in one of your talks in preparing for this conversation, that your conclusion was, "No, not game over but game on." And I thought that's so clever and rememberable, Paul. Game on, I love that. PH: Here's the story. I have a Brazil team of Drawdown, and one of the people on the team—we don't call it a team, but it's a group, we work closely together—is Gisele Bündchen, the model. And she and eight other people from Brazil and I were meeting together in Los Angeles, and because her husband's mother had a serious health problem, Tom Brady came with her. Tom Brady was in the room, and as it turns out he was just sitting to my left. And we were talking about the science, about the dire reports that are increasing, and one of the people, Ana from Brazil, said, "Is it game over?" Just between you and me kind of thing. I started to talk about it, and then I thought, "I'm sitting next to Tom Brady." And that was after the Super Bowl, not the one last year but the one before, in which they went into the locker room at halftime behind 21 to three, and then got behind 28 to three, and then created the greatest comeback in NFL history and won 31 to 28. I turned to him and said, "Tom, I just want to ask you a question. When you went into the locker room at halftime, did you think it was game over?" Because people were walking out of the stands and turning their TVs off. And there was an innocence to his response, and he said, he looked at it like, "Well, we never think that way, ever. The game is never over until it's over by time, but not while we're playing." And I said, "What happened in the locker room?" He said, "Well, before a game, we always study the team's strength, how strong they are on offense and defense." And then I said, "What did you do this time?" He said, "Well, at halftime, we knew their weaknesses, so we studied their weakness." But what I'm saying is that there was an innocence to it, as opposed to defiance or machismo, or something like that, "Hell no, we never"... It was just like an innocence, and I feel the same thing holds true for all of us, which is that sometimes when we get to that point in our life where we surrender, we give up, it's game over, we surrender, and everything opens up. And so I felt that Bill's article was really important because it was that point where people opened up as opposed to shut down. Because when you say, "It's game over," you're saying, "I give up, I resign." And that's actually kind of a moment, we've all had it in some way or another where we just can't do it anymore or something, what it is, and then something changes. And so I just felt that there's a receptivity in people. And that's what we've seen with Drawdown, because basically what we all experienced until this moment really is the articulate and eloquent capacity of climate science to define and repeat the problem in more and more interesting ways, as if repeating the problem constantly and over and over, would solve the problem, and it doesn't. And what Drawdown does is fully acknowledge, honor, revere the science, and the problem itself and how it's described. And know this, that every problem is a solution in disguise. That's what a problem is, otherwise it wouldn't be a problem. And so therefore, this is the most gnarly problem ever, so therefore it is just laden with extraordinary solutions that are pathways to transformation. That's how we see it. Drawdown's all about possibility, honoring the probability, the problem, the science, that it's all about possibility, and human beings move towards possibility. TS: For that person who says, "I get it, I want to feel hopeful, show me the pathway," Paul, what did this team of researchers, scientists, scholars, volunteers, spiritual leaders, what did they map out as a pathway to reversing global warming? PH: It's slightly different. What we did is, we went out into the world to see what the world does know and is doing. It's different than us saying, "This is the pathway." Drawdown is a mirror to the world to see itself in a way it's never seen itself before. Remember, I said the solutions we modeled are all in place, well-understood, purely good science in terms of their impact, purely viewed or internationally understood in terms of the economic impact by institutions like the IEA or World Bank, etc., and so none of the data in Drawdown is our data. It's data from the most respected people, scientists, and institutions in the world about what is. Drawdown is a reality project. It's not a project to be hopeful. It's not one to... People say it's very inspirational, it's very optimistic, very hopeful. Great. But it was a reality project. It was about what do we know, what are we doing, and if it scales rigorously but within reasonable constraints, can we reverse global warming? And the answer is yes, but we didn't know that going into it. We didn't know that at all. We had no idea. We just went into it because we wanted to know. That goes back to what I was saying about curiosity. The interesting thing about organization is that you can organize yourself—you're an NGO, for example—to say, "Listen, we know, we understand, here's your call to action, this is what you should do, read this, here's the PowerPoint. You can give this PowerPoint to other people and teach them." That's one method of doing it. That's a common way of approaching the problem. It's a great way, it's fine, it's wonderful. That's not our way. Our way is to create the conditions for self-organization, and that's what life does. Life creates the conditions for self-organization. It doesn't have a boss. It doesn't have a charismatic leader. It doesn't have somebody who knows and the rest of it doesn't know. Life creates the conditions, and that's what basically an atmosphere and a climate are. It's a complex, adaptive, self-organizing system. So what we tried to do is create an NGO where it's not all roads lead to us, but everything leads away from us towards institutions, people, cities, individuals, communities, NGOs, churches. Whatever way people organization themselves, leads to them, to empower them to work towards solutions and possibility. And so that's our role, which is to give, to generate, to offer, to work together, to develop curriculum with teachers but not to tell teachers what the curriculum ought to be, to do everything in a collaborative way. What we are is a "small we" collaboration of people from 25 countries, six continents, all age groups, but most are researchers in their 20s and 30s—extraordinary scholars, Rhodes Scholars, Fulbright Scholars, White House Fellows—and then come together and reflecting back to the larger collaborative, which is 7.4 billion people. Humanity, it's another collaborative. It's a small we talking to a bigger we, saying, "Look, this is what we know." And so we are not here to say we have a pathway to the future, we being the smaller NGO. We're saying we do have a pathway. There is a collective, innate wisdom in humanity at work that is hidden and occluded by the media, by the way it's reported or not reported as the case may be, and by the way that it disconnects us from our brilliance, our creativity, our innovativeness, our dedication, and our commitment to healing our home. TS: Paul, I read Drawdown with a lot of curiosity, and I learned a lot. I learned a lot about the top 80 solutions that you modeled and mapped. And then there's a section where you talk about coming attractions, 20 solutions that are in the works. You have this quote at one point, "This is the biggest crisis that we've ever had as a collective, yet most people can't name the top solutions to reverse global warming." I was one of those people before I read Drawdown. I don't think I could have named what was in your top 10 list, and we can go over some of the top 10 solutions that you found. But here's the big question that I want to ask you. After I read the book, I thought, "OK, one of the solutions has to do with having a plant-rich diet. I can do that." That's number four on your list. Then I looked at some of the other solutions, and I thought, "Huh, rooftop solar, number 10. Maybe I can do that. OK." But a lot of the solutions felt outside of me. I don't know what to do about wind turbines. I'm not associated with that. Refrigeration? Shoot, I live in a really hot place in the summer. I'm going to keep the air conditioner on. I am going to keep the air conditioner on most of the time probably. Here at Sounds True, we keep the air conditioner on. That's how people, the environment they want to work in. So what I'm getting at is there was a feeling of, "I read the book, now I know the solutions." Is that enough? Is the world really going to change? What's going to change? How much am I going to change? PH: The last question, you have to answer. The solutions, when I said nobody in the world knew the top 10, that's an anthropological question. How come after all this time, 40 or 50 years of global warming being in the public sphere, that nobody had just done the math? That's what we did. We did the math. That's what we did, and then said, That's the math," as opposed to saying we think this ought to be or should be the top 10 solutions now. And so you can go to when were doing this during COP21 in Paris. There were 30,000 people there and nobody could name the top five or 10 solutions; not in order, in any order. TS: Paul, when you said you did the math, tell our listeners what you mean by that. PH: On the impact side, a solution can only do one of two things. It can either avoid emissions—in other words reduce or stop emissions (that is to say greenhouse gases) from going up into the atmosphere—or it can sequester carbon. It can bring carbon back home through land use, whether it's farming or forests or wetlands, etc. So there's only two things you can really do: stop putting it up there and bring it back home. All the data in terms of impact comes from peer reviewed science, and not just one paper, but from virtually every paper we could find on that solution. And we chose the median or the low-median number where there was a spread in the impact. So that's how the solutions were ranked. The ranking reflects, again, back where the solution is in terms of it being actuated and how much impact it has, and how much it's going to grow and scale. Some solutions like, say, LEDs, peak out in 2030, 2033, 2034, sometime in there, because the whole world uses LEDs. There is no more incandescent bulb. It depends on each one, how they scale, but that's what we mean by impact. In terms of what a person can do, we are just about finishing something for the website, which is Educate/Activate. Educate means I want to know more. Thanks very much. I want to know more about reduced food waste. I want to know more about silvopasture, or tropical staple trees, or afforestation, or geothermal... And this'll have articles, it'll have books, it'll have documentaries, it'll have YouTube videos, it'll have resources that will explain more of the science, more of the practices. Then it has Activate, which is like, "Hey, I'm in Boulder and I want to do something more about the second solution"— wind turbines for example. And I'll tell you what you can do. And obviously, you can't put up a wind turbine. You're not an engineer. You don't have lots of money. You probably don't have any land. But that doesn't mean there's not a lot you can do with respect as an individual to engendering, to supporting, to encouraging, to accelerating, to demanding, to buying, to purchasing, et cetera, that solution. And so we will give people those tools, those resources in which they can activate all these solutions with a couple of exceptions. So that's number one. Number two, number three I mean, was I was going to say is that what happened is groups are getting together all over the world and some of them are calling themselves Drawdown organizations—Drawdown Nova Scotia, Drawdown Toronto, Drawdown New Zealand, Drawdown Switzerland, Drawdown et cetera—and what they're doing is getting together and figuring out themselves what can we do here, in this place at this time. A lot of the solutions don't apply to a certain town or a country or place. They don't apply. And so they choose those that do apply. And then they start to create a coalition in that province or that city, or that place, in that school, in that university, wherever, in that company, and they start to work on those solutions in which they can have impact. And so how that's how Drawdown is manifesting in the world, but it's not like people are powerless. And to me, what's made people feel powerless is having people stand up and say wind and solar and electric cars, and just constantly urge us to go to clean energy, including electric cars, and the implication has been that if we do that, it's sufficient unto the day, and that if we do so, we get a hall pass to the 22nd century, and that's just scientifically nonsense. Those are really crucial solutions, no question about it. But it's a system that caused global warming, and it's a system only that can address it and heal it. And so what happened when we model these solutions is that you start to see it's a system. The solutions are quite surprising; that is, the top 10. I think they're all surprising in some ways, but the ranking is very surprising and it wasn't what anybody would have predicted, including us, by the way. We would have got it all wrong as well if we had been asked to rank the top five or 10. Even while we were into it, we had faves and biases and assumptions about what had the most impact, and I would have been wrong. I think everybody at the office would have been wrong, quite wrong. TS: I want to pull out something you just said because I'm not sure I understand it, that it was a system that caused global warming. PH: It is a system. TS: It is a system, and it's a system that's needed to solve it. What do you mean by that? Help me understand the system. PH: Let's say you have a car and you say that's causing it, it's burning fossil fuels and the CO2 is coming out of the tail pipe, right? Why do you have a car? What's the car do? Where does it go? Why? When? How often? How long does it sit with the engine running but not going anywhere, aka a traffic jam? That's a city, that's a design, that's a job, that's a place. There's no such thing as a car. There's a system. There's a transport system, both public and private. There are pathways that are necessary in terms of mobility that are required for people to get access to their work or to their family, or to resources—resources being food, health, school. Then you look at those things. What are we talking about? What job? Doing what? To whom? How? With what? And in what building? How was this building designed, and how is it being lit up and operated and heated and cooled? That goes to refrigerant management. That goes to electrical generation. That goes to HVAC systems themselves and so forth. What food? Where bought? Purchased? Who made it? How is it made? How did it get there? From which farm? Everything we do is connected to everything else. And so when we model this, it would seem easy, you know, back-of-the-napkin to model some of these things. It is not back-of-the-napkin. You have to model the whole system, otherwise your numbers are punk. If you just say, "I just think electric cars are going to be half of the fleet by 2035 or 2040," or whatever, I say, "Oh really? And how are they going to be powered? Where is that electricity going to come from?" So then you have to look at the grid. One thing always leads to another, and that is why I think from our point of view and everybody's point of view, I think that's why we had one assumption about what the top solutions were because 60-plus percent of all the CO2s up there came from combustion of coal, gas and oil, so it's logical to think that well, then, we go to clean, renewable energy and we're good to go. It's just not true because it's combustion, but combustion where? How about that tractor on the farm? How about the ships that are…This fantastic, strange, extraordinary international network of things being traded all around the world. And so forth, you have to look at the whole. So that's what I mean it's a system that's causing it, creating it, so you have to look at the whole system. And that also means that there's no such thing as a small solution. We tend to, especially Americans, say, "What are the big ones? We'll concentrate on the big ones." Well, no. All of it. And to your point very early in this question where you said there's not much I can do about this, or this, or that, don't worry. There's people who can and are, and that's what's brilliant about us as people, which is that when... I said all these things are scaling. You don't have to do all of them. Do the ones that make sense to you. Do the ones that light you up. Do the ones where you have leverage and impact. Do the ones that are possible. And if you can't do something, just know—and believe me, it's true—that there's a whole bunch of people and institutions, companies, NGOs, others, that are on it. They're on it whether you know about it or knew about it, whether if there's anything you can do about it. It's extraordinary what the world is doing. TS: The system that is going to help us with Drawdown, how can you describe that? Meaning, I get in the book these hundred different solutions. They're listed individually. Help me connect to a visual, if you will, if you're visualizing something as we're talking, with that visual mind of yours, to what that new system is, that's a world in balance with its climate? PH: It's not a new system. It's the existing system transformed. It is this system, but it's this system that changes and has changed. That's what were talking about, is transformation, morphology. You're talking about taking the details of the system, the specifics of it, and changing it from where it is now to where it can go that is kinder, that is actually less expensive at end of the day, that heals the future instead of steals it. Basically we have a system that's stealing the future, and selling it in the present and calling it GDP. And so if you look at the Drawdown solutions, this is a system, the same system in terms of functionality, mobility, and habitat, and food. And it's the same system in sectors and specificity, but now it heals the future instead of steals it, and that's a choice. And that's what global warming basically is offering us, is that choice, that capacity to both see, and actually be that change and the difference. So it's not like there's a system over here that you can imagine. It's this system, transformed. Now having said that, there is a book coming out that's called Regeneration, and that gives you both imagery—and I love imagery, I grew up as a photographer—both in words and in specifics about what a regenerative world looks like. Because it's about process, not about a specific solution. It's about how you organize these solutions in such a way that we regenerate; and not just land and soil and forest, but regenerate our habitats, our cities, because 80% of the people who will be around in 2050 will be living in urban environments, and the subtitle of that book is "How To Create One Billion Jobs." One billion jobs, you know? And so we haven't had basically the tools, the techniques, the practices, the technologies to do this. And you mentioned the 20 coming attractions. That's true, but we have in our database another couple hundred that are coming. These are solutions that are over the horizon, on the horizon, or just past it, coming towards us. And so the tools at hand are not just the tools we have already at hand, but humanity is actually extraordinarily innovative. And again, that's another thing that sort of... I don't know. We don't see it, we don't hear it. Our news cycle is all about lighting up our amygdala and fear-and-flight, as opposed to joy and celebration, because it sells better to advertisers. But the fact is that we need media like Drawdown and others that actually go to where we want to be as a human race as opposed to where we don't want to be. TS: Transforming. We are transforming, hopefully. PH: There's no stopping it. TS: That makes sense. Good. You're very sensitive to language, Paul. It's one of the things I've notice about you. I really appreciate that. It's something very resonant for me as well. I really appreciate it. OK. What are the values? Where are we standing, as humans and in our hearts, so that we are part of this transforming? PH: OK. What a great question. It's a great question because I think there's this idea that somehow we have to be… the world has to become altruistic in order for this transmission to occur. And if it doesn't, then we're screwed. And I would contest that. That's not true. I think altruism is in pretty much everybody's heart at some point and some times in their life, so I don't think it's absent. I'm not saying that. What I'm saying is that the way we have conceived and conceptualized the problem is as a future existential threat. In other words, if we don't do this or if we keep doing this, this is going to happen in the future and won't we be sorry. That's essentially the narrative. TS: Yes, I think that's true. PH: And the problem with that narrative is not that I would disagree with the predictive capacity or the pattern recognition of the science in terms of global circulation models, because that's what we're talking about. We're talking about global circulation models of weather, and then what happens on the ground when that changes. I'm not disagreeing with that, but I do disagree with the idea that somehow if we keep talking about future existential threats that everybody is going wake up one day and say, "Whoa yes, right, let's go", because human beings don't respond to future existential threat. We're not wired that way. Our brain doesn't work that way. Our ancestors, your specific ancestors and everybody who is listening to this, their ancestors responded really well to current existential threat: food, health, security, habitat, really well. That's why you're here. And so the people who just thought nothing else but about future existential threat aren't in the gene pool anymore. They're gone. And so we know this, this is neuroscience 101. So what we're doing in terms of thinking about the solutions is upside down and backwards. The way we reverse global warning is not appeal to people's scientific literacy, or altruism, or willingness to sacrifice. What you want to do is appeal to people's needs. You want to address current human needs. And never in the world has there been so much great work to do, never, than now. Never has there been greater human need than now. And never have more people been marginalized and told basically, "We don't need you, there isn't work for you, or the work that is there for you is low-paying and diminishing and meaningless." And basically what Drawdown points to... Not that we know; I'm just saying we did the math, we did the analysis, and then we stepped back just like you when you read it, and said, "What is this telling us?" And what it tells us is the way we address the future is to address current human needs. And what do people need? They need the same things all over the world. They need food, good food; they need security, they need to feel safe; they need homes that are healthy; they need education; they need healthcare; they need mobility. They need a reason, and what we're saying is that the reason Regeneration is called, the sub-title is, "How to Create One Billion Jobs," not shovel-ready jobs. That's just make-work. "OK, build a road." Foolish. We're talking about is providing work that gives people a sense of meaning, purpose, self-respect that actually heals the future, that does something for themselves, their family, their community and so forth. That's what the global warming points to and that's what the solutions point to. That's a regenerative world. And what we know from economic theory, which is about economic complexity theory developed at MIT and Harvard, is that when you make an economy more complex, you have better outcomes for everybody on all the things: socially and education, health, economic equality, et cetera, et cetera. And so when we look at these solutions, rather than see them as warming solutions or climate solutions, they're human solutions. You could take climate right out of the picture from Drawdown completely. Take the impact statement out completely. Forget about all that. Look at it and say, "These are solutions that actually regenerate the planet and restore human well-being because they have so many beneficial outcomes." You don't educate a girl because it's going to reverse global warming. You support education of a young girl for a hundred reasons or more. And, by the way, that girl who becomes a woman is empowered in such a way that she chooses a very different family path than one who is taken out of school, who is married early or is given a job, and ends up having two and a half times more children than the same girl who was actually supported and empowered to be educated. The solutions we're talking about are ones that actually, literally, can create more meaningful living wage, purposeful jobs, give people respect, than there are people on the planet. And when that happens, people have a sense of self-worth. When people don't have a sense of self-worth, they act it out. They act it out in terms of petty crime or more serious crime in terms of gangs, in terms of joining groups that we would call terrorists. They act it out in terms of electing demagogues and fake populists who pander to their fears and make them believe that it's somebody else's fault than them for their life. And that may be, but it's not immigrants and Islam and women, or other things, which is what's happening all over the world. And so, that's why Drawdown is so important. You can take climate out of the picture and it points to a world that is absolutely a world we want to move towards because we are moving towards it. TS: OK. I just want to ask you two final questions, and I'll get them out here quickly. I saw a slide in one of your presentations when I was doing some research for this conversation, and it showed all of us human beings packed into as small a space as possible, shoulder to shoulder, and that we don't actually take up that much space when we're all grouped together like that, compared to the size of the Earth. But what I didn't understand is what you were trying to say with this image. PH: There's two images there. There's one of people and there's one of all their carbon we admit every year on that slide, at least the one I remember making. And the point was two-fold: one is to show you that the... When I showed that first slide, it was actually in Toronto to a bunch of executives from big corporations. And when I showed it, I said, "Here's the problem graphically, as an image." I said, "Does this look solvable to you?" In other words, there's this little, tiny ball, you can't even see it from space. That's all the greenhouse gases we emit every year. I'm not in any way diminishing their impact, but I'm just saying, "Do you think we can solve this?" And they all go like, "Well, yes." And I said, "Now this is us, that little tiny ball there, smaller." I said, "Can we live here without having the impact, the destructive impact we're having now? What do you think? In terms of biomass, there are 10 times as many beetles and apparently we do really well with all those beetles, but not with this creature called homo sapiens. So do you think we can live here as well as beetles do, in terms of impact? Are we that smart or are we that stupid?" So that was the purpose of it, which is to give people a sense of dimensionality, because I think people project on the Earth that somehow it's over-populated. It probably is, but really it's over-demanded, it's over-impacted, it's overtaken, literally, by human technology, human desire, human greed, human systems, and we can do it differently. We really can. TS: Which brings me to my final question, which is just a quote that I really loved from your work. "Climate change isn't happening to us, it's happening for us." How do you understand it happening for us? PH: To us, if you think it's happening to you—which most of us do—and then who are you, what is the object? That's what 'to' means, there's an object, and you're the object, you're the victim. You didn't have any part in it. You didn't create it. You didn't do it. You got the short end of the stick. It's not fair. It's not what you came here to do. You want to buy a house in the country and have children, and blah blah blah, whatever, and so you then live in that place. You live in the place of being the object instead of the subject. Not the creator, but the created, if you will, and that is just a very disempowering place to be. And I think if we understand that everything that happens in our lives, and not just climate change, everything is happening for us, it's an opportunity. Basically, in this case as mentioned before, it's an opportunity to see ourselves in a very different way, which is, number one, if it's happening for us then we take responsibility for the whole darn thing and stop blaming people. It doesn't mean we don't speak truth to power, but stop blaming. And then we're free. You can put that one aside, of having to walk around like a victim, begrudgingly blaming everyone else and thinking that it's unfair. That takes a lot of energy. Second, then, we can begin to imagine what our role is here, why are we here? And that engenders creativity and innovation and possibility and so forth. So now we're coming from a very different place, which is, what can I do about this? What is my role? What are my strengths? Your strength is you're doing, Sounds True is doing, that's your strength that you have, and it's manifest and it's beautiful in what it's done. So you figured that out. For a lot of people, if you go around the world thinking that basically, you go around your life thinking that somehow you got the short end of the stick, it doesn't leave you very many good choices. And when you change it, the preposition, from "to" to "for", then it's a gift. TS: You inspire me, Paul, about regenerativity, the regenerative world. Our regenerativity, as a species and as life. Thank you so much. Thank you so much for this conversation. What a gift for our listeners. Thank you. PH: You're so welcome, and can I say one more thing? PH: Which is that regeneration… you can scrape, burn, poison, clear-cut the natural world in any shape, manner or form, and it's tragedy. But the default mode of life, the moment you stop harming it, is regeneration. Its default mode, that's what nature does. And we are nature, it's our default mode, so it's not like out there somewhere. It's life itself. It's what life does. Life creates the conditions conducive to life, and yes, we're so smart that we can kill it, burn it, poison it, and think that we're doing good. That is idiocy. But when we stop doing that, like I say, we move to regeneration, so it is a natural outcome of an integrated mind. TS: You've been listening to Paul Hawken. He's the editor of the book, Drawdown: The Most Comprehensive Plan Ever Proposed to Reverse Global Warming. Someone whose regenerative spirit gives us the gift of regeneration. PH: Tami, thank you. My gosh, what you're doing is regenerative in every single possible way, so thank you for what you're doing. TS: I also want to let you know that we are broadcasting this particular episode in honor of an upcoming free 10-day online event series that Sounds True is producing. It's called Waking Up in the World. It's a free series with 30 different presenters. 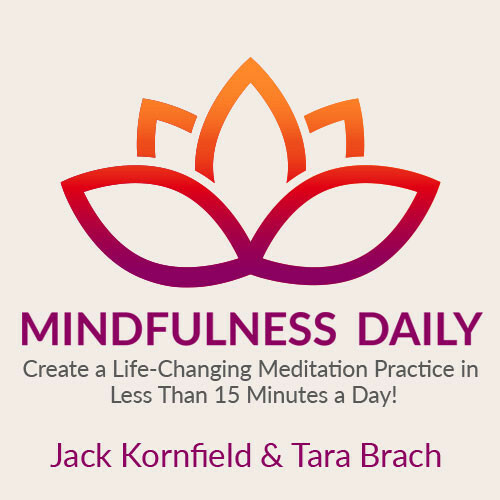 People like Joanna Macy, Tara Brach, Van Jones, Parker Palmer, Valarie Kaur, Eve Ensler, Clarissa Pinkola Estés, Jack Kornfield, Jon Kabat-Zinn, and others. And it's on the intersection between spiritual awakening and being a change agent in the world. The series starts on September 24th. It runs through October 3rd. Again, three sessions a day for 10 days, 30 sessions airing for free at 10:00 AM, 2:00 PM, and 6:00 PM each day. And you can visit us at SoundsTrue.com to learn more about Waking Up in the World. It begins on September 24th. SoundsTrue.com, waking up the world.